Congratulations to Shuopei Wang! Our paper titled 'New Floating Gate Memory with Excellent Retention Characteristics' had been published on Advanced Electronic Materials! Congratulations! 2019-01-22. Congratulations to Mengzhou Liao! 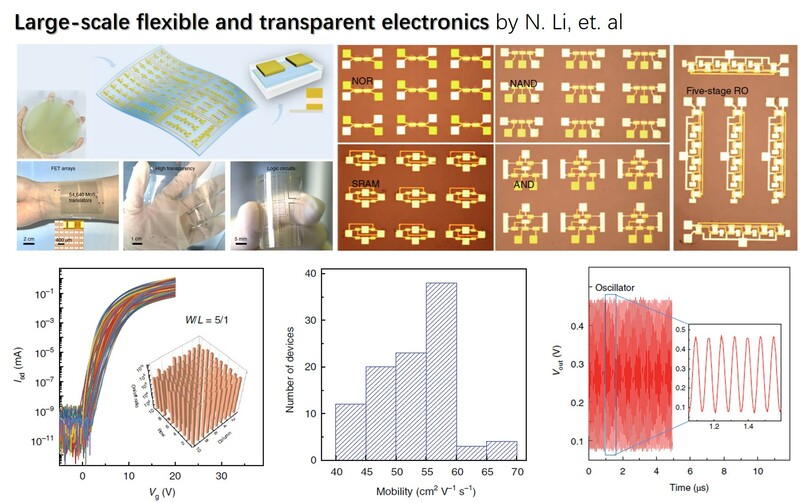 Our paper 'Twist angle-dependent conductivities across MoS2/graphene heterojunctions' had been published on Nature Communications! 2018-10-05. Luojun's paper titled 'Strongly enhanced exciton-phonon coupling in two-dimensional WSe2' had been published on PRB! Congratulations! 2018-07-06. Congratulations to Luojun Du! Our paper titled 'Electronic structure-dependent magneto-optical Raman effect in atomically thin WS2' was accepted by 2D materials! 2018-05-25. Congratulations! Our paper titled 'Magnetotransport Properties of Graphene Nanoribbons with Zigzag Edges' had been pubished on PRL! 2018-05-22. Congratulations to Jianqi, Tingting and Luojun, our new PHD! 2018-05-16. Congratulations to Luojun Du! 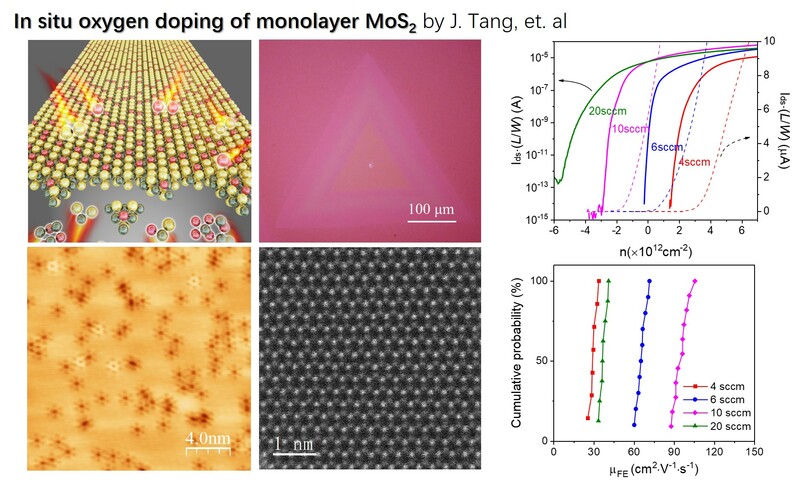 Our paper titled 'Temperature-driven evolution of critical points, interlayer coupling, and layer polarization in bilayer MoS2’ and 'Robust spin-valley polarization in commensurate MoS2/graphene heterostructures’ had been pubished on Phys. Rev. B! 2018-04-21. 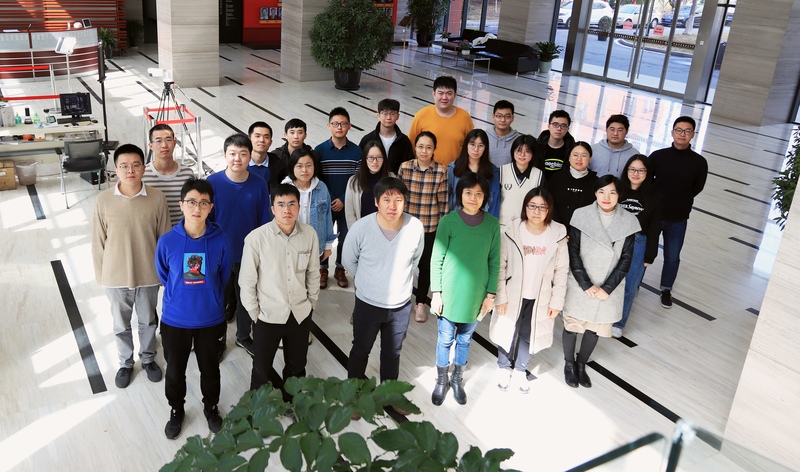 Lu Li, Le Liu, Fanfan Wu, Yalong Yuan and Jiaojiao Zhao join our group, our new graduate students. Welcome! 2018-3-2. Congrats to Luojun Du! 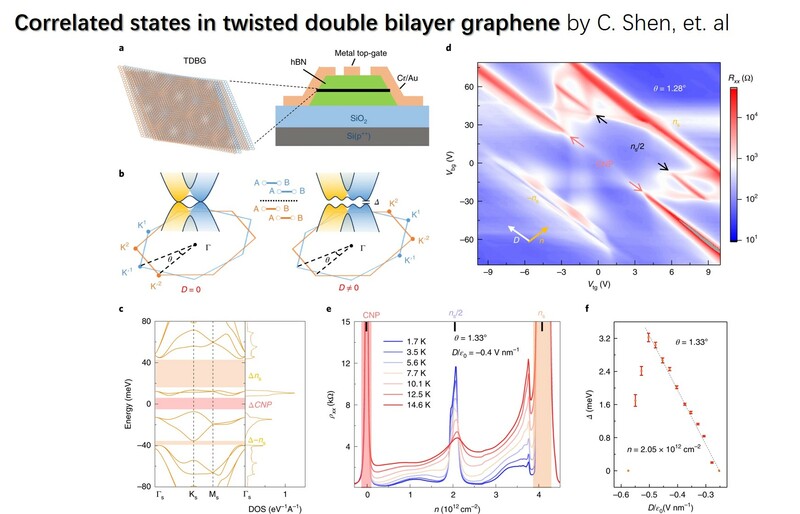 Our paper 'Modulating PL and electronic structures of MoS2/graphene heterostructures via interlayer twisting angle' has been pubished on APL! 2017-12-28. Congrats to Hua Yu and Mengzhou Liao! 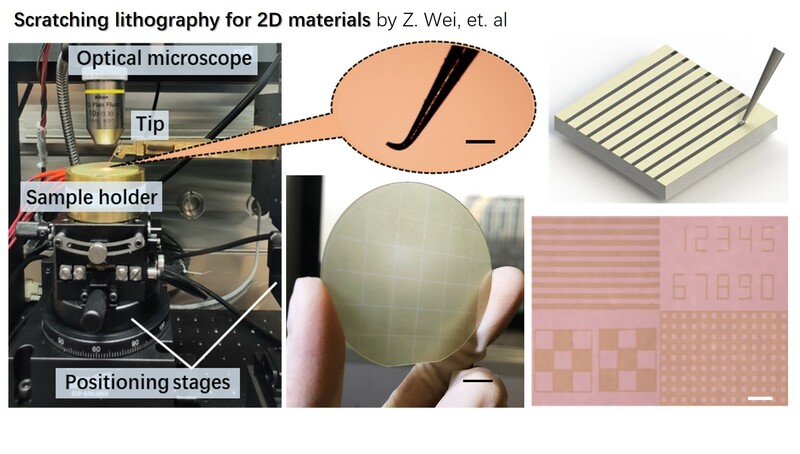 Our paper titled 'Wafer-Scale Growth and Transfer of Highly-Oriented Monolayer MoS2 Continuous Films’ has been pubished on ACS Nano! 2017-11-22. Congrats to Tingting Zhang! Our papers titled 'From Type-II Triply Degenerate Nodal Points and Three-Band Nodal Rings to Type-II Dirac Points in Centrosymmetric Zirconium Oxide' has been pubished on JPCL and 'Fabrication of zigzag-edged graphene antidot lattice and its transport properties' has been published on Acta Physica Sinica! 2017-11-22. Prof. Zhang won HU Gang-fu Prize! Congratulations! 2017-09-08. We attended CPS Fall Meeting at Chengdu! 2017-09-07. Congratulations to Jianqi Zhu! Our paper 'Argon Plasma Induced Phase Transition in Monolayer MoS2' has been pubished on JACS! 2017-08-02. Congratulations to Xie Li! 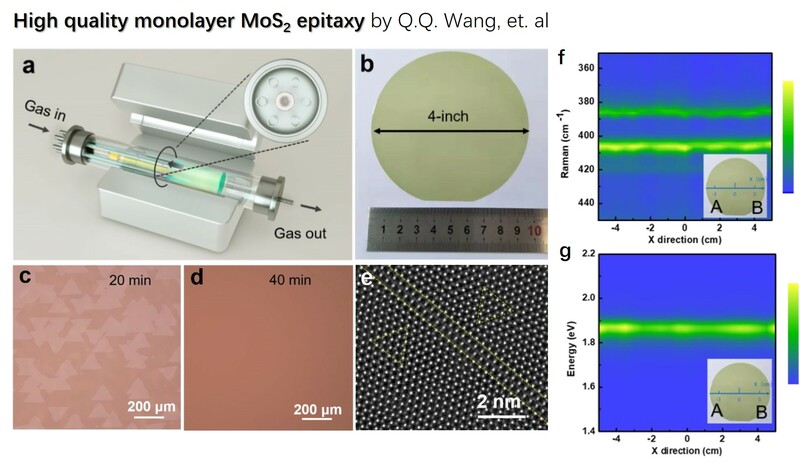 Our paper 'Graphene-Contacted Ultrashort Channel Monolayer MoS2 Transistors' has been pubished on Advanced Materials! 2017-08-01. © Copyright © 2017. Zhang Research Group All rights reserved.